Chopin In The Shadows: The Supernatural Adventures Of Byron Janis : Deceptive Cadence The famous 89-year-old pianist has spent a lifetime perfecting Chopin. Along the way, the composer has reached out from the great beyond in a few startling ways. The celebrated pianist Byron Janis has always felt a special pull toward Chopin. As a child of about eight or nine he remembers breaking out in tears after playing a Chopin waltz, then asking his mother to find him a book about the composer. Now, after a seven-decade career, the 89-year-old pianist has his share of Chopin stories to tell – some are astonishing and others downright spooky. Talking with NPR's Scott Simon, Janis recounts the unlikely events surrounding his chance discovery – twice – of the same pair of Chopin Waltzes. It's a focal point for his memoir Chopin and Beyond: My Extraordinary Life in Music and the Paranormal, which he co-authored with his wife, Maria Cooper Janis. In 1967, Janis visited the French chateau of a friend. While rummaging through an old trunk of clothing he stumbled upon two manuscripts. The friend brushed them off, saying his grandmother had dabbled in writing music. But Janis knew otherwise. "Oh no, this is not your grandmother," he told him. "This is Chopin." What Janis found were earlier versions of the well-known Waltzes in G-flat, Op. 70, No. 1 and in E-flat, Op. 18 – apparently gifts from the composer to a member of the family around 1833. What are the chances, then, of finding alternate versions of those same two waltzes across the Atlantic six years later? That's exactly what happened to Janis while visiting the Yale University Library in 1973. This time, however, Janis says it was more than just chance. "I felt I was drawn to that somehow," he says. Janis was about to leave the library when he spied something on top of a file cabinet. "They took a ladder and said 'It's marked Chopin'," Janis recalls. After looking through the papers, Janis was shocked. "I must have turned many different colors," he says. "They said, 'What's wrong? You don't look well.' I said, 'This is not possible!' And there were the same two waltzes in different versions, written a year earlier." 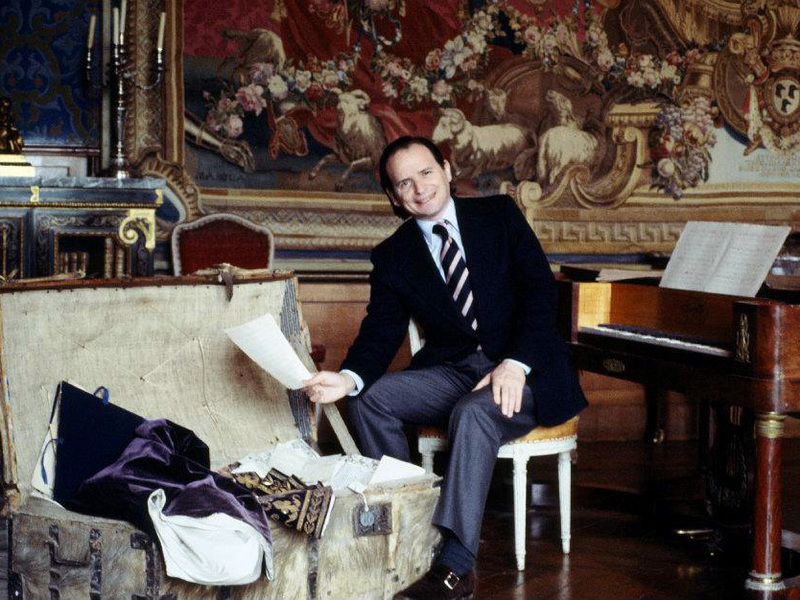 Byron Janis discovered rare manuscripts of two Chopin waltzes at the Chateau Thoiry in France in 1967. Janis' stories take a decidedly more supernatural turn when it comes to Chopin's death mask. But Janis doesn't care for terms like "supernatural." "I don't like the word 'paranormal,' I like 'unknown normal,'" Janis insists. "Because that's what it really is. Things are unknown, and once they become known then they become normal after a bit." A rare cast of Chopin's face was given to Janis by the proprietor of Nohant, the summer estate of Georges Sand (born Amantine Lucile Dupin), the French novelist with whom Chopin was romantically involved. "You're not going to believe this if you don't believe in the unknown normal," Janis begins. Two friends joined Janis, his wife and their 17-year-old son one day. The guests inquired about the mask sitting on the piano and, Janis says, that's when things began to get weird. "Suddenly, out of one of the eyes, a fluid started coming," Janis recalls. "We were all amazed, shocked. I put my hand into this fluid and it was salty. There was no question in my mind these were tears. And then the mouth started to bubble up with, almost, froth. It was quite strong and unbelievable. So we were terribly shocked and I put it back on the piano and we sat down to talk about what had happened. What I felt was that Chopin was happy he could communicate, somehow, with the current world." Janis' career has been filled with successes, but also with setbacks. At age 16, after Vladimir Horowitz heard him play Rachmaninoff with the Pittsburgh Symphony, Janis became the legendary pianist's very first pupil. At 18, he was the youngest artist to sign with the RCA Victor label and at 20 he made his Carnegie Hall debut. Later, Janis was nearly sidelined by psoriatic arthritis, but he soldiered on. "As long as I kept my standards, I did keep playing," he says. Still, he didn't talk openly about his ailment for 12 years until Nancy Reagan, at a White House Luncheon, announced Janis as the Arthritis Foundation's National Ambassador to the Arts. "I have arthritis, but it doesn't have me," he said at the time. 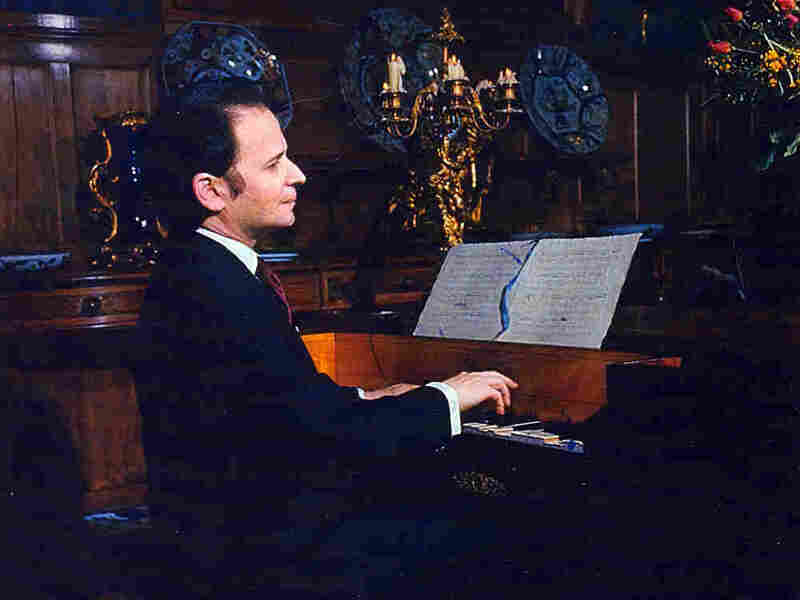 The pianist made something of a comeback in 1996 when he released an all-Chopin album, including a performance of the Yale version of the G-flat major Waltz. It also appears on his new album, Byron Janis Live on Tour. In the works at present is a film based on Janis' life, produced by Martin Scorsese. "Music is and was my life," Janis says. "Fortunately I was born with a talent. I am passionate about making music. At moments I was going to give up, because it was very difficult, but I persisted. I said, 'No, no, no keep going, come on. You'll be able to do it.' It was like a mind over matter thing. And it works." Ned Wharton and Jennifer Liberto produced and edited this interview for broadcast.